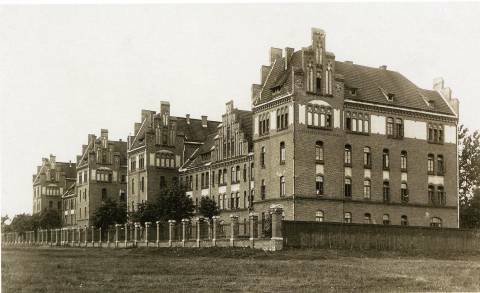 In the beginning of the 20th century, the Ministry of Defence of Prussia started constructing a new military complex in Klaipėda. Building works were started in 1904, but the works were stopped due to a construction worker strike. In 1907, the city invited 120 Italian bricklayers and finished the building. 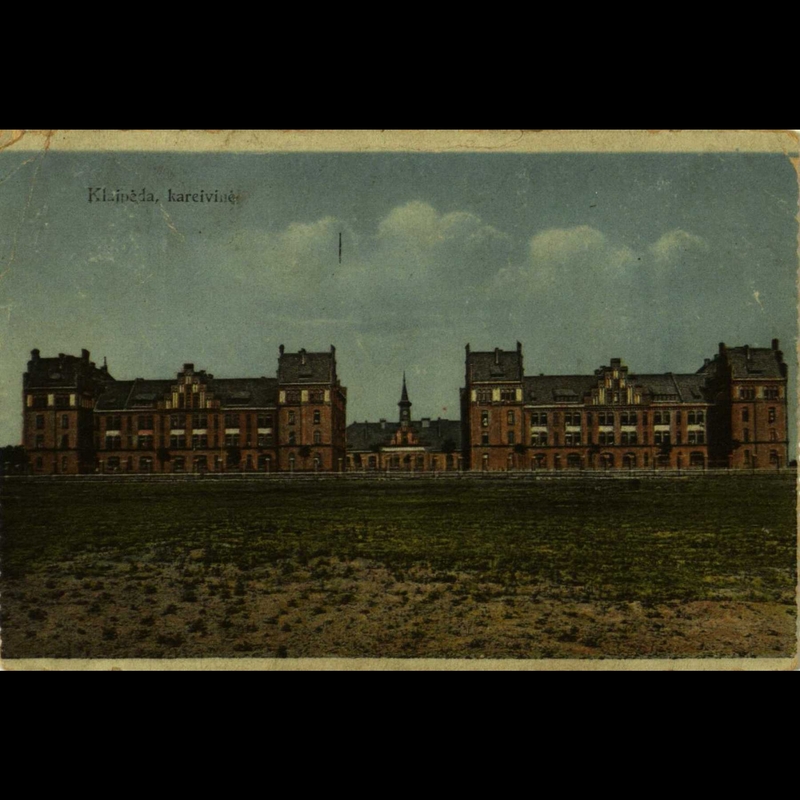 The complex is comprised of six Neo-Gothic structures: two main buildings serving as living quarters for soldiers, a building for worship and the cafeteria, and the remaining three buildings are the headquarters, the watch-house, warehouses and living premises. 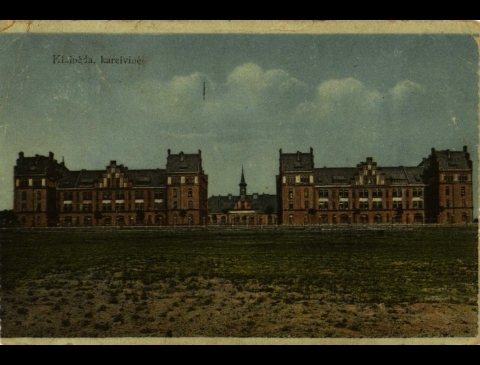 In 1907, the 41st infantry regiment von Boyen (5th East Prussia) was dislocated into the Klaipėda military complex. 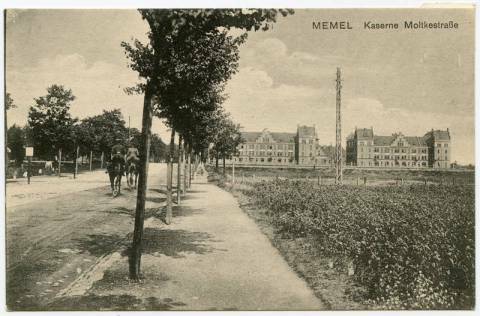 In 1920, when the temporary French administration was ordered to be established in the Klaipėda region by the Triple Entente, the military complex was taken over by the 21st Jäger Battalion. In 1923, when the Klaipėda region was reunited with Lithuania, the headquarters of the 7th infantry regiment of the Samogitian Duke Butegeidis and the first as well as the second battalions were established in the military complex. Between 1934 and 1939, the 6th infantry regiment of Pilėnai Duke Margis was dislocated into the military complex. In 1939, the Klaipėda region was assimilated into Germany and the military complex became home of the German navy artillery division until 1945. From 1945 and lasting until 1993, the USSR coast guard units took residence here. In 1993, when the Lithuanian-Russian (former USSR) military was withdrawn from this location, the military town and its buildings were handed over to Klaipėda University, which was established in 1991. The restoration works took fifteen years to complete (until 2009). 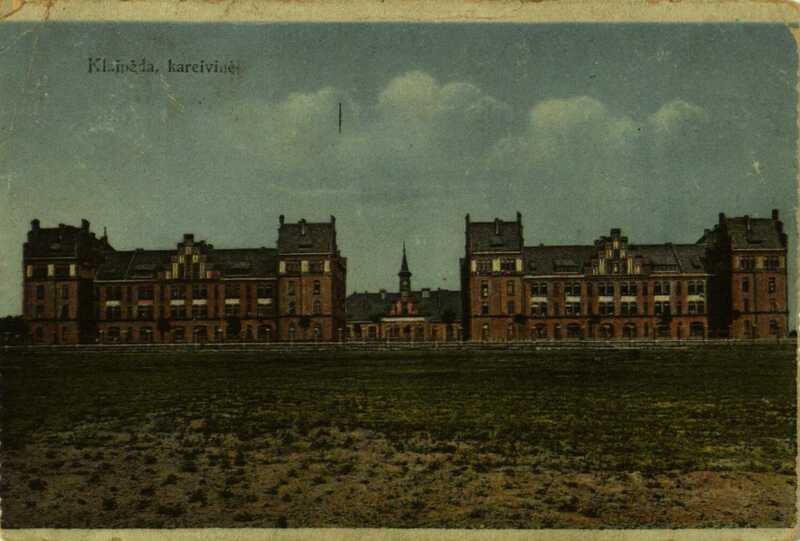 Klaipėda University set up its administration, three of the seven faculties, the Evangelical Theology Centre, and the Institute of Baltic History and Archaeology in the premises of the former military building complex.